Comodo Disk Encryption is a free disk encryption software that protects the information on your hard disk from identity theft, internet scammers and hackers. Comodo Disk Encryption provides secure data storage with an easy to use interface. This software is written with its own code so that no one will be able to read your confidential data. Other free encryption software that we reviewed earlier includes free software to encrypt files, free software to encrypt emails, and free software to encrypt text. 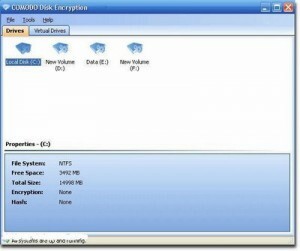 Comodo Disk Encryption is a free disk encryption software that allows you to backup or restore encryption setting, create rescue boot CD, enable or disable password protection. 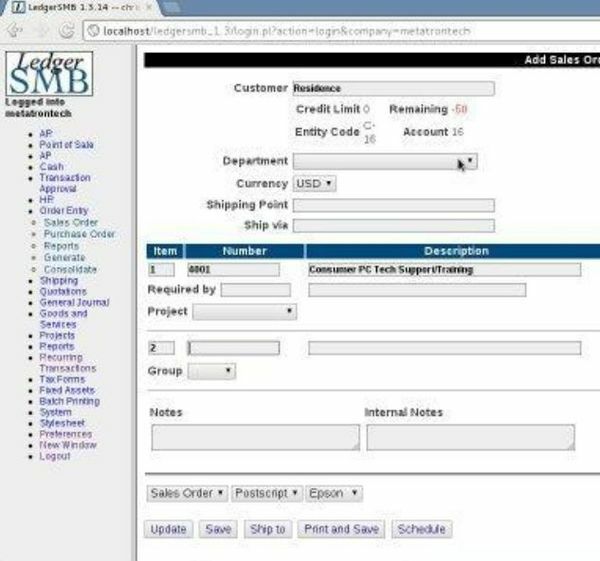 The application can be set to start on system startup and minimized into the system tray. 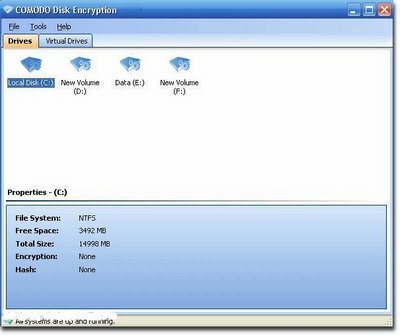 Comodo Disk Encryption is a free disk encryption software to easily encrypt your data.